Edmund Burke (1729-1797) was an Irish-born writer, philosopher and member of the British House of Commons. 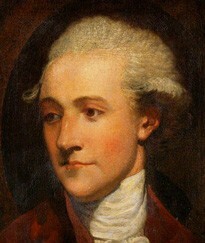 Burke became well known for his vocal support of the American colonists during the Stamp Act debates when he rose to urge a relaxation in British policy. Britain made her money from trade, Burke said, not from taxing her subjects in the provinces. Burke argued that to continue pressing the issue of colonial taxes would drive an inseparable wedge between the colonies and Britain, with dire outcomes for the latter. Burke’s eloquent remarks helped define the Whig position on colonial policy and earned him praise in America. 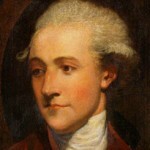 He later penned a scathing criticism of the French Revolution, while Burke’s writings on political philosophy have earned him the epithet ‘the father of modern conservatism’.